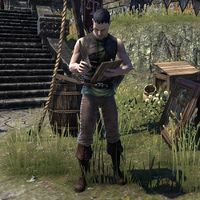 Rodynak Arnese is a Breton merchant who can be found at his stall Arnese's Assorted Sundries in Alcaire Castle. When spoken to he will mention he has an assortment of goods, "I've got a little of this, a little of that." This page was last modified on 21 December 2018, at 08:07.